Comments for What fungus grows on trees and which can be produced in agar nutrients? First of all, you don't say if these should be edible mushrooms. The list of fungus that grows on trees, dead or alive, is huge. Many of them are symbiotic, relying on the trees roots for supplying them with nutrients, while they produce sugars for the trees use, or some other benefit. The fruiting bodies, which we see as mushrooms, grow from the roots. Saphrophytes grow on the dead roots of trees, or the trunks of dead trees. 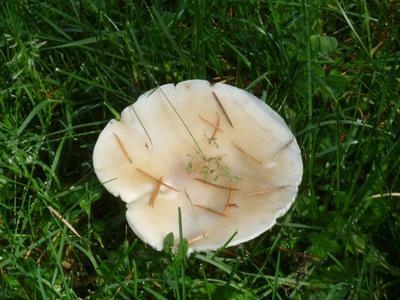 This site has a partial list of types that grow on bark, some edible, some not. It would remain to cross reference that to tissue culture of whatever types you are interested in, but that is beyond my experience. One thing that I wonder about is how successful tissue culture would be with mushrooms, as they seem to require certain nutrients or factors from the tree itself, which would be really hard to duplicate. Hope that helps - good luck with your experiments!